Today, children are asking for tablets instead of bicycles when they turn five, and a two-year-old knowing how to take a selfie before speaking a complete sentence is considered completely normal. This is the age of millennials, the generation that is all about using digital outlets. And it is no secret to businesses, as they have turned to digital marketing as their primary source of advertisement and that's because of how inexpensive digital marketing is to gain brand awareness. This is telling of our society and the way we have allowed the internet to play everyday roles in our lives. Statista shows that 77 percent of the US population has an existing profile on a social media platform in 2018. The American Press Institute reported that 88 percent of millennials get their news from Facebook alone. Does this tell us that we are no longer relying on print? Is print truly dead? Believe it or not, people are still using print for their advertising needs. One example, it was found that billboard ads still reap benefits. MediaLease found that 56 percent of people will share an ad they have looked at by talking about it. Word of mouth, folks. Out of those viewers, 72 percent tend to shop on their way home and 32 percent allow a billboard to dictate where they stop next, whether it be a grocery store, restaurant, or business. Creating an account on Twitter and Instagram is great and all, but what kind of name are you planning on making for yourself on your platform? Tweeting and posting about special events frequently will gain your company traction, but only for those who are looking for it. Networking still needs to be instilled when on your platform. Your actions on social media will reflect the way your company services in real-life, so interacting personally with people will continue to build a brand name. This can be done, simply by personally replying to customers who have grievances and choose to share what they have to say online. This is an opportunity to not only attempt to satisfy one client, but also to demonstrate the type of service your business is capable of providing to a possible new clients. Get personal with it! Everyone already expects to be hit with loads of spam in their email inbox, so how do you stand out from all the rest? Treat subject lines as your one way to attention-grab, make it fast and make it interesting, or more important - make it personal. Take the time to address whoever is receiving the email so it doesn't feel like a generic computed email that was sent out to hundreds of others, even though it probably was. At times email may seem like a thing of the past when compared to social media, but not only is email used worldwide, but according to Agency Analytics, emails get a click rate of 3.57 percent while Facebook reaches a rate of 0.07 percent. Use this checklist to help you hire the right graphic design studio. Download here. From video to photo ads, understanding your company and the branding you want your company to portray is important not only within the advertisement itself, but in the platform you choose to advertise with. Understand the audience your company wants to reach, then look for statistical research on which platform will work the best for the audience you are looking for. For example, if your company helps women learn how to be more tech savvy, you may want to go with a platform like Pinterest, where about three times more women than men are actively on (Pew Research Center). Advertising on social media can be very inexpensive, and although it is an immediate resource, being too immediate can be a problem. The ad is viewed and may attract the attention of many, but only few will remember it as they continue to keep scrolling, viewing newer advertisements that belong to other companies. Out of sight, out of mind. This is where print is more successful with leaving imprints. Search Engine Optimization will assist in helping your business get the most clicks from users. If you see a surge in viewership or search engine searches this could mean you might be at the top of the search engine. Take a closer look at your web page analytics. This is done by knowing what the most common search engine keywords that people are on the hunt for. There is plenty of software out there that will also tell you which keywords you rank high for. This way your business can use that knowledge to its advantage. Adjust your website keywords to those that will help you rank resulting in your content being listed closer to the top of the page, bringing the most traction to your links. Yes, the goal is make your link appear on the first page. The Search Engine Journal highlights a study that showed how the first three links that are listed as a result of a search result in about 40 percent of all clicks and 30 percent of remaining links on page one and two do not get any clicks. Yes, it may be a little more costly to make copies and copies of a print ad for your company, but unlike a social media advertisement, it will have a longer-lasting mark on your target audience. Forbes has expressed the way cyber space becomes virtually cluttered on any timeline and people normally tend to scroll straight to the most recent news, missing everything in between. On the other hand, a physical print of an advertisement is in sight for a longer period of time, acting as a constant reminder in plain sight. In a print ad, there is no clicking needed to be done by a viewer. On the internet, an ad needs to be clicked in order for viewers to receive information that is trying to be portrayed by a company. Along with this, 79% feel like they're being tracked by retargeted ads. 91% of people say ads are more intrusive today than 2-3 years ago. Not to mention, viewers are concerned to click on any pop-up with the fear of computer viruses being attached to a pop-up. This interferes with the credibility that your company has, and there's a chance that a user's pop-up blocker will prevent the viewer from ever viewing your advertisement in the first place. Millennials and online users in general tend to skim over readings that are formatted online unlike in a physical reading, where more people are more likely to completely read through. Ina study, Alshaali & Varshney, 2005 revealed that people physical copy text 20-30% faster than they read online text. This will result in your audience digesting your content further, constantly engaging with them and keeping their attention with you and your company only, in a way online ads struggle to do especially when competing with other ads around your own ad. 4. Printing - The Right Way! Brochures, newsletters, billboard ads, banners, flyers and etc. can be pricey depending on how many you plan on printing. Depending on how you choose to distribute them could cost you little to nothing. Yes, print may seem a little old school, but print advertising provides immediate information about your business that you want people to know about. Mailbox Ads, the most expensive and most risky type of print advertisement to utilize today. According to Five Stars, mailbox ads can work if the "40/40/20 Rule" is applied. In short, this is a breakdown of how your ad success will be attributed - 40 percent depending on the success of the mail list that is made, another 40 percent to the offer you make within the ad, and 20 percent to the design that is presented. Just remember, here's another interesting finding. Nearly 80% of consumers act on direct printed mail advertisements compared to 45% of consumers that act on electronic advertisements. From there, it's still a trial-and-error risk if your mail ad is not very successful. At that point, you must revaluate your strategy. Maybe the audience you reached through your mail list was not the best fit for your company? Maybe the offer you gave wasn't compelling enough? Did you use a design that was attention-grabbing enough? Billboard advertisements, as mentioned above, have more of an immediate impact when seen by consumers. The cost of billboard ads vary depending on location and size, and will also depend on how long you want your ad to run. Nonetheless, they are expensive. The range in Los Angeles: $2,000 - $15,000 a month, and San Francisco and Chicago share the monthly range of $2,000- $12,000 for billboard ads according to Dash Two. Despite the price, a business must consider if the cost of a billboard ad will be worth the approximate 32 percent of consumers who allow billboards to dictate their next stops are worth it. 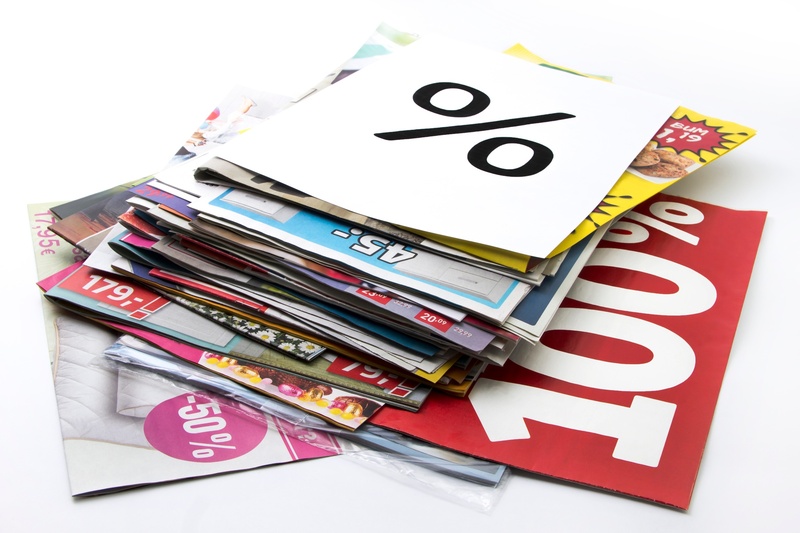 Magazine and Newspaper Advertisements may seem one in the same, and even though they share many similarities, they have one big difference - audience outreach. In a digital world, magazines and newspapers still exist because though millennials seem to be taking over, in reality, they make up one fourth of the American population alone. This means that 75 percent are not millennials and are used to the print versions of everything and because that is how they grew up, they still prefer it over digital. This is an insight to the audience that the print ads found within newspapers and advertisements would be reaching and every magazine and newspaper appeals to a different demographic, so that must be kept in mind. If your business is in denture molds, do you think you are going to want to advertise in Teen Vogue or the Daily Bulletin? What will result in success is knowing how to utilize both tools and knowing when to choose digital marking over print and vice versa. Taking a look at your budget is useful and knowing your target audience will determine which route to go for a specific advertisement will answer itself. For example, maybe your company is hosting a networking event and it's open for the local community to attend, in that case it might be worth the money to get a physical print out to the neighbors who are nearby because they will be more likely to attend your event since it is local to them. Rather than send out three hundred email invites to people who who are not in close range and are more unlikely to attend your event. Planning and strategizing these aspects are important for success when using all platforms and branding your company. More importantly, you must stay knowledgeable in the types of resources that are accessible to your company and understand the audience you want to reach when making decisions of what strategies will work best with your company's particular outreach goal. We can help with your digital and printing needs. Contact us today (951) 479-5411 or receive a free quote here.